There are endless walking and cycling paths in Sint-Annaland and on the island Tholen. 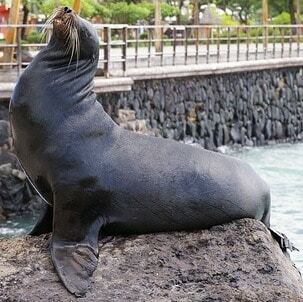 Head out and see how beautiful the island is. 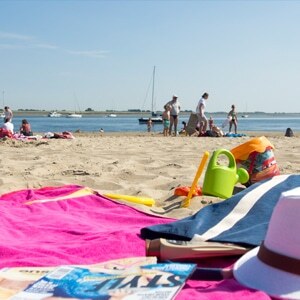 Read more..
It’s only a 5-minute walk to the small public beach of Sint-Annaland. This is the perfect place to relax on a hot summer’s day. The beach is quite shallow, so kids can safely play in the water. Read more.. 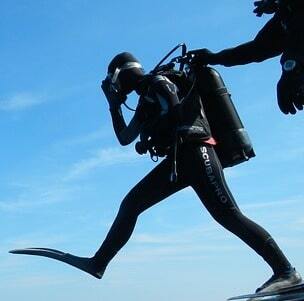 Diving spot 73 is located near the Sint-Annaland beach, only a 5-minute walk from our holiday park. But there are many more beautiful dive spots in the surrounding areas, which makes our park the perfect place for a diving holiday in Zeeland. Read more.. 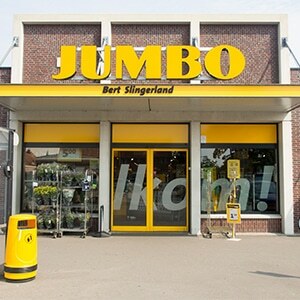 The Jumbo-supermarket, with an extensive assortment, is located in Sint-Annaland, a 10-minute walk from our park. 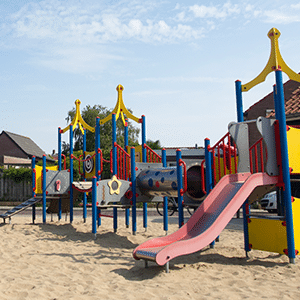 Playground Vrij & Blij is a fun place for kids to climb, slide and run around – and to make new friends. 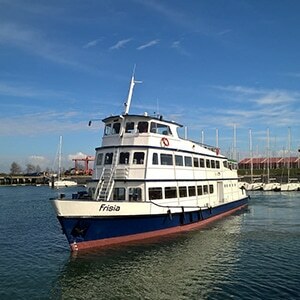 Read more..
Go on a cruise with Frisia Rondvaarten to enjoy the fresh sea breeze and the splendid views. Who can spot a seal or a porpoise first? 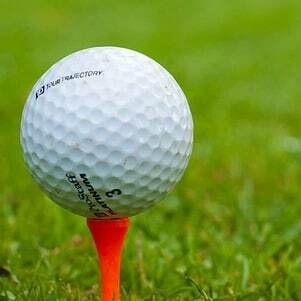 Read more..
Akkermans Golf & Leisure, a beautifully landscaped and challenging 9-hole par-3 course with a driving range, practice greens, and a charming Grand Café is only a 15-minute drive away from our holiday park. The golf courses with height differences and water features offer plenty of challenges for both beginners and experienced golfers. 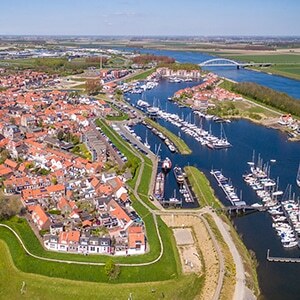 Read more..
A 15-minute drive takes you to the historic city of Tholen. This beautiful city with old city walls, historical monuments as well as a protected cityscape is definitely worth a visit when you stay at Chaletparc Krabbenkreek. Read more.. In the historic center of Bergen op Zoom, just a 30-minute drive from our holiday park, you will find more than 800 monuments and a wide variety of shops. 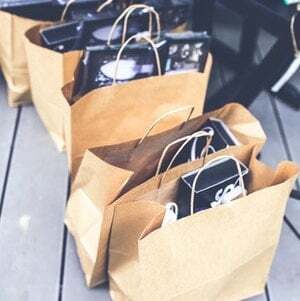 Submerge yourself in the local culture, shop to your heart’s content, enjoy culinary delights and relax on one of the many terraces with a drink. Read more.. The Netherlands is largely below sea level, and in order to prevent a flood like the one in 1953, the Delta Works were built. 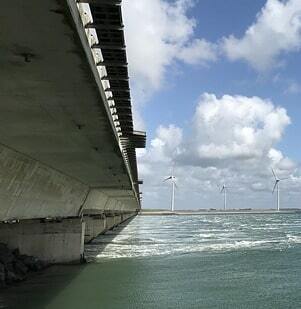 Delta park Neeltje Jans, the world famous storm surge barrier, is just an hour’s drive from St. Annaland. Read more..
Parents and children will enjoy a fun-filled day in the Neeltje Jans water park. Aquapark Neeltje Jans has several water slides and attractions, water playgrounds and a real hurricane machine! Read more.. 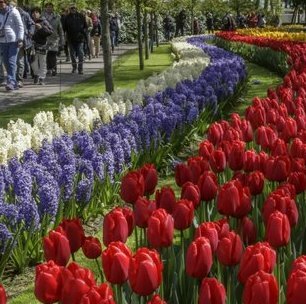 The Keukenhof in Lisse is the largest flower garden in The Netherlands, and one of the largest in the whole world. It only takes 90 minutes to drive to this world-famous park in South-Holland. Don’t forget to bring your camera! Read more..